I refuse to confide and don’t like it when people write about art. 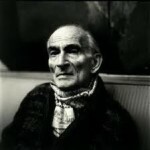 Balthasar Klossowski, best known as Balthus, was an esteemed but controversial Polish-French modern artist. Throughout his career, Balthus rejected the usual conventions of the art world. He insisted that his paintings should be seen and not read about, and he resisted any attempts made to build a biographical profile. A telegram sent to the Tate Gallery as it prepared for its 1968 retrospective of his works read: NO BIOGRAPHICAL DETAILS. BEGIN: BALTHUS IS A PAINTER OF WHOM NOTHING IS KNOWN. NOW LET US LOOK AT THE PICTURES. REGARDS. B. In 1921 Mitsou, a book which included forty drawings by Balthus, was published. It depicted the story of a young boy and his cat, with a preface by Balthus's mentor, Rilke. The theme of the story foreshadowed his lifelong fascination with cats, which resurfaced with his self-portrait as The King of Cats 1935. In 1926 he visited Florence, copying frescos by Piero della Francesca, which inspired another early ambitious work by the young painter: the tempera wall paintings of the Protestant church of the Swiss village of Beatenberg 1927. From 1930 to 1932 he lived in Morocco, was drafted into the Moroccan infantry in Kenitra and Fes, worked as a secretary, and sketched his painting La Caserne 1933.